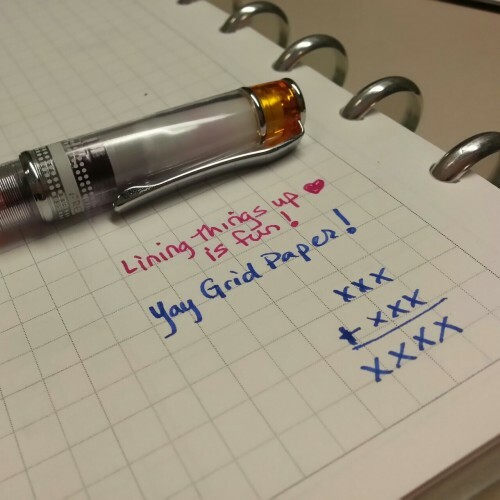 Let’s talk about grid paper. I LOVE it! BUT…. 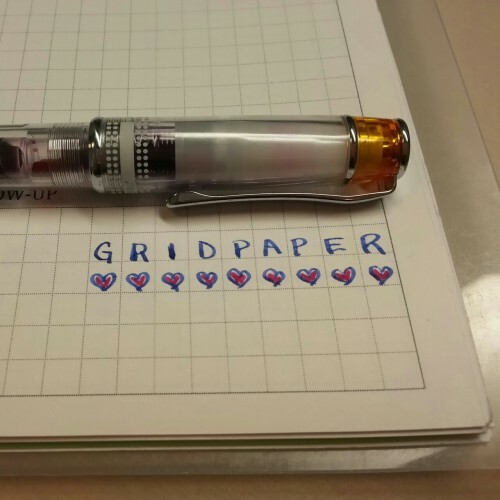 not just any grid paper. In all the notebooks I’ve tried, most have issues. Moleskine I liked the grid size, but the paper wasn’t great with fountain pens. Rhodia has great paper, but the lines are a crazy dark purple. Levenger has grid refills, but the squares are huge and the lines too dark again. That’s my problem – I’m an accountant with some design tendencies, so like the organization the grids offer. Dots are WAY to loosey-goosey for me! But, I’m a visual person, and lines that are too dark distract me. It’s a Catch-22! Finally I just had to create my own grid refills for my Levenger Circa notebook.